Speed is everything in business. It just is. It’s better to be quick than right because if you have a culture of speed you can adjust and get it right before the next guy or gal has a chance to even start copying you. Moreover, thanks to the internet, the ability to roll out new ideas as services where the cloud supports infinite scale means we are almost at the point where ideas and reality are directly connected. It’s for this reason, all businesses should be scared of increased competition from unexpected places. Even the guy at the tattoo parlor. 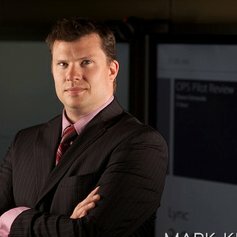 Yes, today, I came across e-ink technology which allows you to have a “billboard” on your skin and hypothesized this could actually disrupt tattoos. 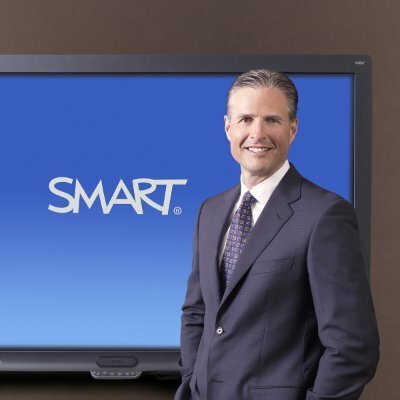 It’s funny that I was thinking about some this when I met with Smart Technologies – the company which puts smartboards in classrooms. When you think of speed, school doesn’t usually come to mind – but they also make products for the enterprise and this is where they excel at helping your company develop new ideas – to borrow from Mel Brooks and Tesla, in Ludicrous Mode. I had an in-depth interview with Frazer Couzens (above), Manager, Enterprise Strategy and Jeff Lowe (below), VP Global Marketing where they told me the company’s theme is “brainstorm to boardroom” via a full-experience whiteboard allowing everyone to contribute. Moreover, everyone sees the results in real-time, the solution is UC-channel agnostic and there is multiway interactivity around any content. If you redesign your website, once the design is sketched on the whiteboard, smartphones will see a vector graphic, they can then send this to a PDF or camera roll, they can scan a QR code on the screen to connect their mobile device to the board. Smart will install and support these devices in 170 countries. The kapp iQ whiteboard is now four times bigger than previous releases. Customers can brainstorm and collaborate on an always-on large whiteboard canvas. Also, Version 2.2 of the SMART kapp app features a dynamic new panoramic whiteboard on SMART kapp iQ and SMART kapp iQ Pro displays – simply pan left and right to collaborate on 4X the usable whiteboard space. This, and all other collaborative features of version 2.2 of the SMART kapp app, including the ability to continue any whiteboard session, sharing up to 250 users, password-protected sessions and watermark-free PDFs have been available free of charge starting about a month ago. SMART kapp iQ is available now. The new 75-inch model will sell at an MSRP of $6,999. The 55-inch model has an MSRP in the U.S. of $3,999, and the 65-inch model has an MSRP in the U.S. of $4,999. 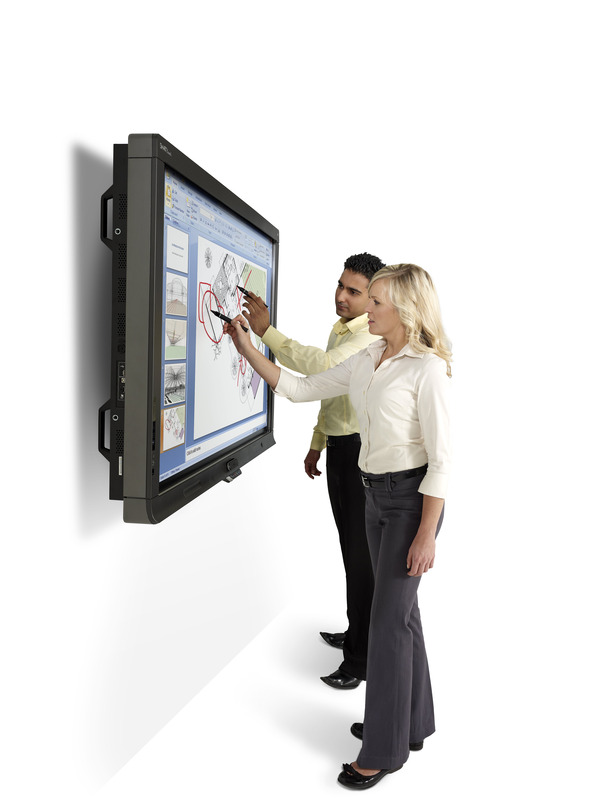 SMART kapp iQ Pro is available today for U.S. $6,799 (55-inch model), $7,999 (65-inch model), and $9,999 (75-inch model). The SMART kapp app version 2.2 is available in the Apple App Store and Google Play. The new SMART global installation and onsite ‘Plus’ support services are now available. Bottom line: to paraphrase Gordon Gecko, Speed is good. And to borrow from Top Gun, Business has the need for speed - one that, Smart Technologies hopes you'll let them solve with their collaboration solutions.